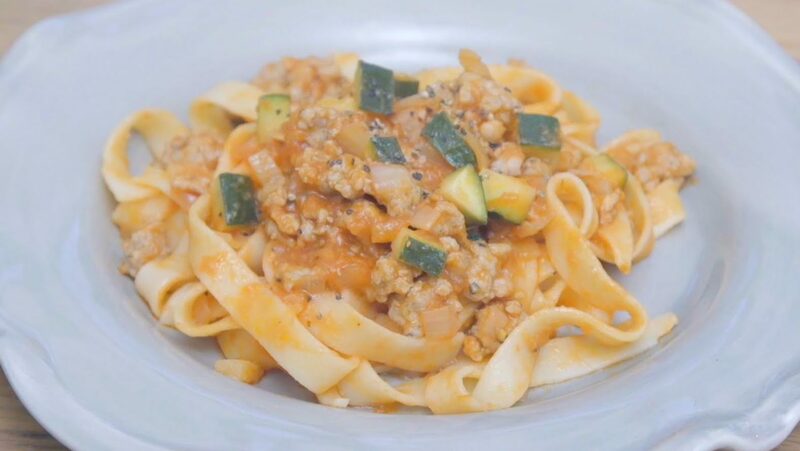 This Sausage Zucchini and Tomato speedy pasta sauce is a great recipe and a quick and filling midweek meal. HEAT in a pan a little oil and on a low heat cook the onion and zucchini till soft. SKIN your sausages and crumble them into the pan along with the onion and zucchini. COOK through until they become brown and crispy. ADD your tomato passata and cook for about 5 to 10 minutes.